In patients with type 2 diabetes mellitus (T2DM) tight glycaemic control with either intensive insulin therapy or sulfonylureas has been associated with weight gain [1Heller S. Weight gain during insulin therapy in patients with type 2 diabetes mellitus Diab Res Clin Pract 2004; 65S: S23-7., 2United Kingdom Prospective Diabetes Study. Intensive blood-glucose control with sulphonylureas or insulin compared with conventional treatment and risk of complications in patients with type 2 diabetes (UKPDS 33) Lancet 1998; 352: 837-53.]. However, insulin-treated patients gained more weight compared with those on oral hypoglycaemic agents (OHAs) [2United Kingdom Prospective Diabetes Study. Intensive blood-glucose control with sulphonylureas or insulin compared with conventional treatment and risk of complications in patients with type 2 diabetes (UKPDS 33) Lancet 1998; 352: 837-53.]. The underlying mechanisms causing insulin-induced weight gain are only partly understood and include (apart from the correction of dehydration in some cases) the anabolic effects of insulin, stimulation of lipogenesis, suppression of hepatic glucose production, reduction of basal metabolic rate and elimination of glycosuria [1Heller S. Weight gain during insulin therapy in patients with type 2 diabetes mellitus Diab Res Clin Pract 2004; 65S: S23-7., 3Russell-Jones D, Khan R. Insulin-associated weight gain in diabetes: causes, effects and coping strategies Diabetes Obes Metab 2007; 9: 799-812., 4Kersten S. Mechanisms of nutritional and hormonal regulation of lipogenesis EMBO Rep 2001; 2: 282-6.]. Furthermore, fear of hypoglycaemia and a feeling of freedom to eat in patients on insulin therapy may account for additional food consumption [3Russell-Jones D, Khan R. Insulin-associated weight gain in diabetes: causes, effects and coping strategies Diabetes Obes Metab 2007; 9: 799-812., 5Yki-Järvinen H, Ryysy L, Kauppila M, et al. Effect of obesity on the response to insulin therapy in noninsulin-dependent diabetes mellitus J Clin Endocrinol Metab 1997; 82: 4037-3.]. On the other hand, a central effect of insulin has also been proposed with insulin and leptin resistance leading to reduced satiety signaling to the hypothalamus despite overfeeding and hyperinsulinaemia [3Russell-Jones D, Khan R. Insulin-associated weight gain in diabetes: causes, effects and coping strategies Diabetes Obes Metab 2007; 9: 799-812., 6Porte D Jr, Baskin DG, Schwartz MW. Insulin signalling in the central nervous system: a critical role in metabolic homeostasis and disease from C. elegans to humans Diabetes 2005; 54: 1264-76.]. Nutrients and gastrointestinal hormones like ghrelin are considered as short-term signals that influence food intake [7Havel PJ. Peripheral signals conveying metabolic information to the brain: short-term and long-term regulation of food intake and energy homeostasis Exp Biol Med 2001; 226: 963-77.]. In contrast, insulin and leptin act as long-term regulators that ensure stability of body weight and adiposity and maintenance of energy homeostasis over a more prolonged period of time [7Havel PJ. Peripheral signals conveying metabolic information to the brain: short-term and long-term regulation of food intake and energy homeostasis Exp Biol Med 2001; 226: 963-77.]. These regulators transfer information from the periphery to the central nervous system, where they modulate neuropeptide release which in turn influences appetite and energy expenditure [8Stanley S, Wynne K, McGowan B, Bloom S. Hormonal regulation of foods intake Physiol Rev 2005; 85: 1131-58.]. In particular, leptin stimulates the expression of anorexigenic neuropeptides and inhibits the expression of orexigenic neuropeptides, such as neuropeptide Y (NPY), therefore suppressing food intake and enhancing energy expenditure [8Stanley S, Wynne K, McGowan B, Bloom S. Hormonal regulation of foods intake Physiol Rev 2005; 85: 1131-58.]. Both central and peripheral adiponectin administration reduced body weight via either food intake suppression or increased energy expenditure [9Dridi S, Taouis M. Adiponectin and energy homeostasis: consensus and controversy J Nutr Biochem 2009; 20: 831-9.]. Ghrelin increases NPY expression in the hypothalamus and blocks leptin-induced satiety, subsequently leading to increased food intake [10Nakazato M, Murakami N, Date Y, et al. A role for ghrelin in the central regulation of feeding Nature 2001; 409: 194-8.]. In this pilot study we evaluated the effect of insulin-induced improvement of glycaemic control on adipokines (i.e. leptin and adiponectin), a gut peptide (i.e. ghrelin) and a neuropeptide (i.e. NPY) levels, weight parameters, lipids and renal function in patients with T2DM. We also considered the possible correlations between these variables. A total of 90 consecutive patients with T2DM were recruited from the Diabetes Outpatient Clinic, AHEPA University Hospital, Thessaloniki, Greece. The study population was divided into 2 groups: Group A consisted of 45 insulin-naïve poorly controlled (glycosylated haemoglobin A1c; HbA1c >7%) patients on OHAs who were converted to insulin monotherapy (2 daily injections of biphasic isophane insulin). Group B consisted of 45 well-controlled (HbA1c <7%) patients on OHAs. All patients in group B were taking metformin (800 mg, twice daily) and 30 of them were also taking sulfonylureas, mainly gliclazide (80 mg, 2 or 3 times daily). Patients with history of impaired liver or kidney function, malignancy, endocrinopathy or on corticosteroid treatment were excluded. All women were postmenopausal and were not on hormone replacement therapy. Patients on thiazolidinediones were excluded as these agents may influence leptin (rosiglitazone) [11Kim HJ, Kim SK, Shim WS, et al. Rosiglitazone improves insulin sensitivity with increased serum leptin levels in patients with type 2 diabetes mellitus Diabetes Res Clin Pract 2008; 81: 42-9. ], adiponectin (rosiglitazone [12Chu CS, Lee KT, Lee MY, et al. Effects of rosiglitazone alone and in combination with atorvastatin on non-traditional markers of cardiovascular disease in patients with type 2 diabetes mellitus Am J Cardiol 2006; 97: 646-50.] and pioglitazone [13Tsuchiya K, Akaza I, Yoshimoto T, Hirata Y. Pioglitazone improves endothelial function with increased adiponectin and high-density lipoprotein cholesterol levels in type 2 diabetes Endocr J 2009; 56: 691-8.]) and ghrelin levels (rosiglitazone) [14Kadoglou NP, Tsanikidis H, Kapelouzou A, et al. Effects of rosiglitazone and metformin treatment on apelin, visfatin, and ghrelin levels in patients with type 2 diabetes mellitus Metabolism 2010; 59: 373-9.]. Both groups were prospectively followed up for 6 months and monitored on an outpatient basis at baseline, 3 and 6 months. In the insulin-treated group, dose adjustments were based on home blood glucose monitoring. At every evaluation, physical examination including weight, height, waist circumference (WC) and blood pressure measurements, determination of percentage of body fat by bioimpedance analysis (SKYLARK BT-905, Taiwan) and laboratory analyses (white cell count (WCC), glucose, HbA1c, creatinine (Cr), uric acid, alanine aminotransferase (ALT), aspartate aminotransferase (AST), gamma-glutamyl transpeptidase (gamma-GT), creatine kinase (CK), total cholesterol (TC), triglycerides (TG), high density lipoprotein cholesterol (HDL-C), low density lipoprotein cholesterol (LDL-C), leptin, adiponectin, ghrelin and NPY) were performed in all patients. Body mass index (BMI = weight/height2), estimated glomerular filtration rate (eGFR) based on the Modification of Diet in Renal Disease (MDRD) formula (http://nephron.org/mdrd_gfr_si) and creatinine clearance based on the Cockroft-Gault formula (http://clinicalculator.com/english/nephrology/cockroft/cca.htm) were also calculated. At baseline, patients were interviewed by a qualified dietician. A specific 7-day diet sheet was given to each patient at every visit. Daily calorie intake was 500 calories below the needs of the patient, taking into account the individual’s physical activity. The patients were advised to maintain the same diet and level of physical activity throughout the study. The study was approved by the local ethics committee and informed consent was obtained from all participants. All blood samples were collected in the morning after an overnight fast (water allowed) and divided into 2 samples of 10 ml each. The first 10 ml were immediately analyzed for routine laboratory parameters (WCC, glucose, HbA1c, Cr, uric acid, ALT, AST, gamma-GT, CK, TC, TG, HDL-C and LDL-C). The second 10 ml, after centrifugation at 4ºC, were stored in aliquots at -20ºC until assayed for leptin, total adiponectin, total ghrelin and NPY using commercially available radioimmunoassay kits (Linco Research Inc., St. Charles, MO, USA for leptin, adiponectin and ghrelin; Euro-Diagnostica Inc., Malmö, Sweden for NPY). It is known that ghrelin circulates in 2 forms: octanoylated (acylated) and desacylated. Although only acylated ghrelin is bioactive, levels of total ghrelin are a good surrogate for those of acylated ghrelin because the ratio of the 2 remains constant under a wide variety of conditions [15Ariyasu H, Takaya K, Hosoda H, et al. Delayed short-term secretory regulation of ghrelin in obese animals: evidenced by a specific RIA for the active form of ghrelin Endocrinology 2002; 143: 3341-50., 16Murakami N, Hayashida T, Kuroiwa T, et al. Role for central ghrelin in food intake and secretion profile of stomach ghrelin in rats J Endocrinol 2002; 174: 283-8.]. Regarding intra- and inter-assay variations, for leptin, intra-assay variation is 8.3, 4.6, 3.9, 4.7 and 3.4% CV for 5 varying concentrations of leptin, i.e. 4.9, 7.2, 10.4, 15.7 and 25.6 ng/ml, respectively, whereas inter-assay variation is 6.2, 5.0, 4.7, 3.0 and 3.6% CV 4.9, 7.2, 10.4, 15.7 and 25.6 ng/ml, respectively. For adiponectin, intra-assay precision is 3.59, 6.21 and 1.78% CV for low (3 ng/ml), middle (6 ng/ml) and high (15 ng/ml) concentration of adiponectin, respectively, whereas inter-assay precision is 9.25, 6.9 and 9.25% CV for low, middle and high adiponectin levels, respectively. For total ghrelin, intra-assay variation is 10.0, 3.3, 7.9 and 4.4% CV for 4 varying concentrations of ghrelin, i.e. 1000, 1500, 2000 and 3000 pg/ml, respectively, whereas inter-assay variation is 14.7, 17.8, 16.0 and 16.7% CV for 1000, 1500, 2000 and 3000 pg/ml, respectively. For NPY, intra-assay precision is 3.9 and 2.6% CV for 57.9 and 100 pmol/L respectively, whereas inter-assay precision is 12.7 and 10.5% CV for 59.1 and 98.9 pmol/L, respectively. Statistical analyses were performed using the SPSS version 13.0 software package (SPSS Inc., Chicago, USA). Values are expressed either as mean ± SD for parametric variables or as median (range) for non parametric ones. Differences between groups at baseline, 3 and 6 months were analyzed by Student’s t test, Mann Whitney and χ2 test for parametric, non parametric continuous and categorical variables, respectively. Repeated measures ANOVA or the non-parametric alternative Friedman test was used to compare related samples data throughout the study. Correlations between the 4 peptides and various parameters were determined by Pearson r or Spearman Rho correlation analyses. Due to multiple comparisons, significance was set at p (2-tailed) ≤ 0.025 [17Kusuoka H, Hoffman J. Advice on statistical analysis for circulation research Circ Res 2002; 91: 662-71.]. Males and females were considered separately because leptin and adiponectin levels differ significantly between genders [18Widjaja A, Stratton IM, Horn R, Holman RR, Turner R, Brabant G. UKPDS 20: plasma leptin, obesity and plasma insulin in type 2 diabetic subjects J Clin Endocrinol Metab 1997; 82: 654-7.,19Schäffler A, Herfarth H, Paul G, et al. Identification of influencing variables on adiponectin serum levels in diabetes mellitus type 1 and type 2 Exp Clin Endocrinol Diabetes 2004; 112: 383-9.]. Furthermore, patients were recruited sequentially and therefore we could not ensure equal gender distribution in both groups. In order to verify our results we also assessed the correlations between glucose and HbA1c [20Little RR, Sacks DB. HbA1c: how do we measure it and what does it mean? Curr Opin Endocrinol Diabetes Obes 2009; 16: 113-8. ], as well as between body fat and WC [21Ludescher B, Machann J, Eschweiler GW, et al. Correlation of fat distribution in whole body MRI with generally used anthropometric data Invest Radiol 2009; 44: 712-9.]. Groups A and B were similar for hypertension, statin treatment, cardiovascular disease (CVD), smoking, age, weight, height, BMI, WC, duration of diabetes, systolic blood pressure (SBP), diastolic blood pressure (DBP), WCC, uric acid, HDL-C, LDL-C, AST, ALT, CK, Cr, leptin, adiponectin, ghrelin, NPY, MDRD eGFR and Cockroft-Gault creatinine clearance. However, in group B body fat was significantly higher (p = 0.005), whereas TC (p = 0.005), TG (p = 0.012) and gamma-GT (p = 0.012) were significantly lower compared with group A. Groups A and B were similar for hypertension, statin treatment, CVD, smoking, age, weight, height, WC, duration of diabetes, SBP, WCC, uric acid, TG, HDL-C, LDL-C, AST, ALT, CK, gamma-GT, Cr, leptin, adiponectin, MDRD eGFR and Cockroft-Gault creatinine clearance. However, in group B BMI (p = 0.009) and body fat (p < 0.001) were significantly higher, whereas DBP (p = 0.013), TC (p = 0.022), ghrelin (p = 0.019) and NPY (p = 0.021) were significantly lower compared with group A. For both genders we did not compare glucose and HbA1c values at baseline since we defined group A as uncontrolled and group B as well-controlled patients with T2DM. NPY levels were higher in group B compared with group A (p = 0.017). Body fat was higher (p = 0.004) and HDL-C levels were lower (p = 0.001) in group B compared with group A.
Fasting glucose (p = 0.005) and leptin levels were lower (p = 0.003) in group B compared with group A.
Ghrelin levels were lower (p < 0.001) and NPY levels were higher (p = 0.01) in group B compared with group A. In group A weight (p < 0.001), BMI (p < 0.001), leptin (p < 0.001) and adiponectin levels (p = 0.008) increased significantly, whereas fasting glucose (p < 0.001), HbA1c (p < 0.001) and NPY levels (p < 0.001) decreased significantly. No differences were observed in group B male patients. In group A weight (p = 0.001), BMI (p< 0.001), HDL-C (p = 0.002) and leptin levels (p = 0.003) increased significantly, whereas fasting glucose (p < 0.001), HbA1c (p < 0.001), DBP (p = 0.003), TG (p = 0.006) and NPY levels (p < 0.001) decreased significantly. In group B female patients, body fat (p = 0.002), AST (p = 0.012) and ghrelin levels (p < 0.001) were significantly reduced. Leptin levels significantly correlated with WC and body fat in all patient groups, except group B male patients (Table 7). As expected, glucose correlated significantly with HbA1c in all groups and at all times (p = 0.019 to <0.0001), except for group A females at baseline and 3 months. Furthermore, body fat correlated significantly with WC in all groups and at all times (p = 0.01 to <0.0001), except group B male patients (Table 7). Leptin levels were higher in females compared with males in each group, at all sampling points during the study (p≤ 0.001 for all comparisons). These findings are consistent with previous results in T2DM patients on various hypoglycaemic treatments [18Widjaja A, Stratton IM, Horn R, Holman RR, Turner R, Brabant G. UKPDS 20: plasma leptin, obesity and plasma insulin in type 2 diabetic subjects J Clin Endocrinol Metab 1997; 82: 654-7.]. Adiponectin concentrations were non-significantly higher in females in each group, at baseline and at 6 months. Circulating adiponectin levels are reported to be higher in females with or without DM in some but not all studies [19Schäffler A, Herfarth H, Paul G, et al. Identification of influencing variables on adiponectin serum levels in diabetes mellitus type 1 and type 2 Exp Clin Endocrinol Diabetes 2004; 112: 383-9., 22Nishizawa H, Shimomura I, Kishida K, et al. Androgens decrease plasma adiponectin, an insulin-sensitizing adipocyte-derived protein Diabetes 2002; 51: 2734-41., 23Putz DM, Goldner WS, Bar RS, Haynes WG, Sivitz WI. Adiponectin and C-reactive protein in obesity, type 2 diabetes and monodrug therapy Metabolism 2004; 53: 1454-61.]. No significant gender differences in ghrelin concentrations were found in each group at all sampling points during the study. This is in agreement with reports in nondiabetic individuals [24Purnell JQ, Weigle DS, Breen P, Cummings DE. Ghrelin levels correlate with insulin levels, insulin resistance and high-density lipoprotein cholesterol, but not with gender, menopausal status or cortisol levels in humans J Clin Endocrinol Metab 2003; 88: 5747-2. ], although higher circulating ghrelin concentrations in nondiabetic females have been documented [25Greenman Y, Rouach V, Limor R, Gilad S, Stern N. Testosterone is a strong correlate of ghrelin levels in men and postmenopausal women Neuroendocrinology 2009; 89: 79-85. ]; data in T2DM patients are lacking. NPY levels did not differ significantly between genders in each group at all times during the study. No literature regarding gender differences for NPY were found. Some of the differences we observed between groups at baseline may be attributed to the uncontrolled patients being more concerned about their lifestyle (e.g. weight). Uncontrolled group A females had significantly higher baseline ghrelin levels compared with well-controlled group B female patients (p = 0.019). In contrast, others reported that patients with T2DM had lower ghrelin levels when long-term glycaemic control was poor [26Ueno H, Shiiya T, Mizuta M, Mondal SM, Nakazato M. Plasma ghrelin concentrations in different clinical stages of diabetic complications and glycemic control in Japanese diabetics Endocr J 2007; 54: 895-902.]. The observed lower baseline ghrelin concentrations in group B females may be attributed to their higher BMI and body fat compared with group A females, as ghrelin levels are negatively correlated with both BMI and body fat in T2DM patients [27Katsuki A, Urakawa H, Gabazza EC, et al. Circulating levels of active ghrelin is associated with abdominal adiposity, hyperinsulinemia ands insulin resistance in patients with type2 diabetes mellitus Eur J Endocrinol 2004; 151: 573-7.]. However, ghrelin levels remained significantly higher in group A females compared with group B females (p < 0.001) 6 months after initiation of insulin therapy, even though BMI and body fat became similar between these groups. Group A males had higher leptin levels than group B males at 6 months. This agrees with previous reports of higher leptin concentrations in T2DM patients on insulin therapy compared with those on other hypoglycaemic treatment [18Widjaja A, Stratton IM, Horn R, Holman RR, Turner R, Brabant G. UKPDS 20: plasma leptin, obesity and plasma insulin in type 2 diabetic subjects J Clin Endocrinol Metab 1997; 82: 654-7.]. Group A females had significantly higher HDL-C concentrations compared with group B females at 3 months (p = 0.001). This difference may be attributed to the insulin-induced improvement of HbA1c observed at 3 months, as good glycaemic control is associated with increased HDL-C levels in T2DM patients [28Vaverkova H, Chlup R, Ficker L, Novotny D, Bartek J. Complementary insulin therapy improves blood glucose and serum lipid parameters in type 2 (non-insulin-dependent) diabetic patients. II. Effects on serum lipids, lipoproteins and apoproteins Exp Clin Endocrinol Diabetes 1997; 105(Suppl 2): 74-.]. However, no similar results were observed in our male patients. In the present study, after 6 months of insulin therapy, weight, BMI and leptin levels significantly increased, whereas fasting glucose, HbA1c and NPY levels significantly decreased in both males and females. These insulin-associated changes have been reported [29Jacob AN, Salinas K, Adams-Huet B, Raskin P. Weight gain in type 2 diabetes mellitus Diabetes Obes Metab 2007; 9: 386-93.-32Carey PE, Stewart MW, Ashworth L, Taylor R. Effect of insulin therapy on plasma leptin and body weight in patient with type 2 diabetes Horm Metab Res 2003; 35: 372-6. ], although without considering genders separately. Aas et al., suggested that, since the increase in leptin concentrations precedes weight gain during insulin therapy, insulin per se and not increased fat mass is responsible for the observed changes [30Aas AM, Hanssen KF, Berg JP, Thorsby PM, Birkeland KI. Insulin-stimulated increase in serum leptin levels precedes and correlates with weight gain during insulin therapy in type 2 diabetes J Clin Endocrinol Metab 2009; 94: 2900-6.]. The sustained rise in body weight despite the significant simultaneous increase in leptin levels may be explained by leptin resistance in diabetic patients [32Carey PE, Stewart MW, Ashworth L, Taylor R. Effect of insulin therapy on plasma leptin and body weight in patient with type 2 diabetes Horm Metab Res 2003; 35: 372-6.]. Adiponectin levels significantly increased only in insulin-treated males. Similarly, Miyashita et al., [33Miyashita Y, Nishimura R, Nemoto M, et al. Prospective randomized study for optimal insulin therapy in type 2 diabetic patients with secondary failure Cardiovasc Diabetol 2008; 7: 16.] reported that adiponectin concentrations increased in patients with T2DM after initiation of insulin treatment (twice-daily biphasic insulin analogue). In contrast, Jacob et al., reported a non significant trend for a reduction in adiponectin levels in T2DM patients on insulin monotherapy or insulin plus metformin [29Jacob AN, Salinas K, Adams-Huet B, Raskin P. Weight gain in type 2 diabetes mellitus Diabetes Obes Metab 2007; 9: 386-93.]. These discrepancies could be explained by differences in sample size and HbA1c values achieved. Furthermore, neither Miyashita et al., [33Miyashita Y, Nishimura R, Nemoto M, et al. Prospective randomized study for optimal insulin therapy in type 2 diabetic patients with secondary failure Cardiovasc Diabetol 2008; 7: 16.] nor Jacob et al., [29Jacob AN, Salinas K, Adams-Huet B, Raskin P. Weight gain in type 2 diabetes mellitus Diabetes Obes Metab 2007; 9: 386-93.] analyzed their results according to gender. Ghrelin levels did not change significantly in the insulin monotherapy groups, as previously reported [31Aas AM, Seljeflot I, Torjesen PA, Diep LM, Thorsby PM, Birkeland KI. Blood glucose lowering by means of lifestyle intervention has different effects on adipokines as compared with insulin treatment in subjects with type 2 diabetes Diabetologia 2006; 49: 872-0.]. In contrast, Jacob et al., documented significant decreases in ghrelin concentrations after initiation of insulin therapy in T2DM patients [29Jacob AN, Salinas K, Adams-Huet B, Raskin P. Weight gain in type 2 diabetes mellitus Diabetes Obes Metab 2007; 9: 386-93.]. It has been demonstrated that NPY is expressed and secreted by adipose tissue and that peripherally administered insulin stimulates the release of adipogenic NPY [34Kos K, Harte AL, James S, et al. Secretion of neuropeptide Y in human adipose tissue and its role in maintenance of adipose tissue mass Am J Physiol Endocrinol Metab 2007; 293: E1335-40.]. As NPY has been reported to exert antilipolytic properties, hyperinsulinemia may lead to an increase in adiposity via elevated circulating NPY levels [34Kos K, Harte AL, James S, et al. Secretion of neuropeptide Y in human adipose tissue and its role in maintenance of adipose tissue mass Am J Physiol Endocrinol Metab 2007; 293: E1335-40.]. These interactions may partly explain the hyperinsulinemia-related weight gain. In contrast, in the present study, NPY levels significantly decreased in both males and females following the initiation of insulin therapy. Leptin has been reported to suppress the hypothalamic expression of NPY [35Ahima RS, Qi Y, Singhal NS. Adipokines that link obesity and diabetes to the hypothalamus Prog Brain Res 2006; 153: 155-74. ]; thus increased leptin levels may lead to reductions in NPY concentrations in both the hypothalamus and the circulation. It should be noted that we do not know if circulating NPY levels represent changes in the hypothalamus. There is evidence that NPY can cross the blood brain barrier [36Kastin AJ, Akerstrom V. Nonsaturable entry of neuropeptide Y into brain Am J Physiol 1999; 276: E479-82.] but this has only been demonstrated in animals. The fall in NPY levels observed in our study may reflect a complex interaction of several factors (e.g. leptin resistance, obesity and stress). Further research is needed to clarify the role of peripheral and central NPY levels on appetite control. Apart from appetite, NPY has been associated with intense or prolonged stress, leading to vasoconstriction and angiogenesis [37Zukowska Z, Grant DS, Lee EW. Neuropeptide Y: a novel mechanism for ischemic angiogenesis Trends Cardiovasc Med 2003; 13: 86-92.]. Interestingly, plasma NPY concentrations were reported to be increased due to enhanced sympathetic activation in stress-related cardiac conditions [38McDermott BJ, Bell D. NPY and cardiac diseases Curr Top Med Chem 2007; 7: 1692-703.]. Therefore, an increase in circulating NPY levels cannot be attributed separately to changes in nutritional or stress status. Of note, in patients on hemodialysis, plasma NPY concentrations were elevated due to both a poor state of nourishment and fluid volume overload-induced stress [39Akagi S, Nagake Y, Sugimoto T, et al. Plasma neuropeptide Y concentrations in patients on hemodialysis Nephron 2002; 92: 333-8.]. Body fat has been proposed as the best predictor of leptin levels in humans independently of gender [40Hickey MS, Israel RG, Gardiner SN, et al. Gender differences in serum leptin levels in humans Biochem Mol Med 1996; 59: 1-6.]. In the present study a non significant increase in the percentage of body fat was observed following insulin therapy, as reported by others [29Jacob AN, Salinas K, Adams-Huet B, Raskin P. Weight gain in type 2 diabetes mellitus Diabetes Obes Metab 2007; 9: 386-93.]. Interestingly, a significant insulin-related increase in both subcutaneous fat area and fat mass was also observed in T2DM patients [29Jacob AN, Salinas K, Adams-Huet B, Raskin P. Weight gain in type 2 diabetes mellitus Diabetes Obes Metab 2007; 9: 386-93., 30Aas AM, Hanssen KF, Berg JP, Thorsby PM, Birkeland KI. Insulin-stimulated increase in serum leptin levels precedes and correlates with weight gain during insulin therapy in type 2 diabetes J Clin Endocrinol Metab 2009; 94: 2900-6.]. These discrepancies may be attributed to differences in methodology (e.g. definition of body fat). In our study, leptin levels correlated with body fat (%) and WC in all groups, except group B males. Similarly, WC correlated with leptin concentrations in Asian-Indian patients with impaired glucose tolerance or T2DM [41Marita AR, Sarkar JA, Rane S. Type 2 diabetes in non-obese Indian subjects is associated with reduced leptin levels: study from Mumbai, Western India Mol Cell Biochem 2005; 275: 143-51., 42Lele RD, Joshi SR, Gupte A. Association of adipocytokines (leptin, adiponectin, TNF-alpha), insulin and proinsulin with diabetes- the Mumbai Obesity Project (MOP) J Assoc Physicians India 2006; 54: 689-96.]. In the present study, changes in leptin levels did not correlate with HbA1c, as reported by Aas et al., [30Aas AM, Hanssen KF, Berg JP, Thorsby PM, Birkeland KI. Insulin-stimulated increase in serum leptin levels precedes and correlates with weight gain during insulin therapy in type 2 diabetes J Clin Endocrinol Metab 2009; 94: 2900-6.]. Patients on OHAs did not show any change in weight or leptin levels throughout the study, as previously reported [30Aas AM, Hanssen KF, Berg JP, Thorsby PM, Birkeland KI. Insulin-stimulated increase in serum leptin levels precedes and correlates with weight gain during insulin therapy in type 2 diabetes J Clin Endocrinol Metab 2009; 94: 2900-6.]. Group B females were the only patients to show significant reduction in both ghrelin levels and body fat. These results may be because they had the highest body fat (50.7 ± 7.9%) at baseline and the greatest reduction (33%) in ghrelin levels throughout the study compared with the other groups. Throughout the study, TG levels significantly decreased (p = 0.006) and HDL-C levels significantly increased (p = 0.002) only in group A females. These results may be attributed to the insulin-induced improvement of HbA1c, as good glycaemic control exerts beneficial effects on lipids in T2DM patients [28Vaverkova H, Chlup R, Ficker L, Novotny D, Bartek J. Complementary insulin therapy improves blood glucose and serum lipid parameters in type 2 (non-insulin-dependent) diabetic patients. II. Effects on serum lipids, lipoproteins and apoproteins Exp Clin Endocrinol Diabetes 1997; 105(Suppl 2): 74-.]. DBP significantly decreased in group A females 6 months after initiation of insulin therapy (p = 0.003). In this context, others [43Torchinsky MY, Gomez R, Rao J, Vargas A, Mercante DE, Chalew SA. Poor glycemic control is associated with increased diastolic blood pressure and heart rate in children with Type 1 diabetes J Diabetes Complications 2004; 18: 220-3.] reported a significant positive association of mean HbA1c and DBP in patients with type 1 diabetes mellitus (T1DM); no data were found for T2DM patients. Renal function indices did not change significantly throughout the study in all groups. However, all our patients had normal kidney function. In contrast, abnormal baseline GFR values in patients with T1DM improved significantly following intensive insulin treatment [44Christensen CK, Christiansen JS, Schmitz A, Christensen T, Hermansen K, Mogensen CE. Effect of continuous subcutaneous insulin infusion on kidney function and size in IDDM patients: a 2 year controlled study J Diabet Complications 1987; 1: 91-5. ]; no data were found for T2DM patients. Several drugs frequently prescribed to diabetic patients have been shown to influence leptin, adiponectin and/or ghrelin levels [45Katsiki N, Mikhailidis DP, Gotzamani-Psarrakou A, Yovos JG, Karamitsos D. Effect of various treatments on leptin, adiponectin, ghrelin and neuropeptide Y in patients with type 2 diabetes mellitus Expert Opin Ther Targets 2011; 15: 401-20.]. In detail, OHAs have been reported to differentially influence plasma levels of leptin, adiponectin and ghrelin [11Kim HJ, Kim SK, Shim WS, et al. Rosiglitazone improves insulin sensitivity with increased serum leptin levels in patients with type 2 diabetes mellitus Diabetes Res Clin Pract 2008; 81: 42-9.-14Kadoglou NP, Tsanikidis H, Kapelouzou A, et al. Effects of rosiglitazone and metformin treatment on apelin, visfatin, and ghrelin levels in patients with type 2 diabetes mellitus Metabolism 2010; 59: 373-9., 46Adamia N, Virsaladze D, Charkviani N, Skhirtladze M, Khutsishvili M. Effect of metformin therapy on plasma adiponectin and leptin levels in obese and insulin resistant postmenopausal females with type 2 diabetes Georgian Med News 2007; 145: 52-.-48Araki T, Emoto M, Konishi T, et al. Glimepiride increases high-density lipoprotein via increasing adiponectin levels in type 2 diabetes mellitus Metabolism 2009; 58: 143-8. ], whereas there were no reports for NPY. Antihypertensive agents were shown to either increase [49Usui I, Fujisaka S, Yamazaki K, et al. Telmisartan reduced blood pressure and HOMA-IR with increasing plasma leptin level in hypertensive and type 2 diabetic patients Diabetes Res Clin Pract 2007; 77: 210-4.] or reduce leptin [50Derosa G, Cicero AF, D'Angelo A, et al. Telmisartan and irbesartan therapy in type 2 diabetic patients treated with rosiglitazone: effects on insulin-resistance, leptin and tumor necrosis factor-alpha Hypertens Res 2006; 29: 849-56.] and to increase adiponectin levels in T2DM patients [51Fuke Y, Fujita T, Satomura A, Wada Y, Matsumoto K. Alterations of insulin resistance and the serum adiponectin level in patients with type 2 diabetes mellitus under the usual antihypertensive dosage of telmisartan treatment Diabetes Technol Ther 2010; 12: 393-8., 52Nomura S, Inami N, Kimura Y, et al. Effect of nifedipine on adiponectin in hypertensive patients with type 2 diabetes mellitus J Hum Hypertens 2007; 21: 38-44.]. No data were found regarding the influence of these agents on ghrelin and NPY levels in T2DM patients. In these patients lipid-lowering drugs were also reported to reduce leptin [53Damci T, Tatliagac S, Osar Z, Ilkova H. Fenofibrate treatment is associated with better glycemic control and lower serum leptin and insulin levels in type 2 diabetic patients with hypertriglyceridemia Eur J Intern Med 2003; 14: 357-60., 54von Eynatten M, Schneider JG, Hadziselimovic S, et al. Adipocytokines as a novel target for the anti-inflammatory effect of atorvastatin in patients with type 2 diabetes Diabetes Care 2005; 28: 754-5.] and increase adiponectin concentrations [12Chu CS, Lee KT, Lee MY, et al. Effects of rosiglitazone alone and in combination with atorvastatin on non-traditional markers of cardiovascular disease in patients with type 2 diabetes mellitus Am J Cardiol 2006; 97: 646-50., 55Hu Y, Tong G, Xu W, et al. Anti-inflammatory effects of simvastatin on adipokines in type 2 diabetic patients with carotid atherosclerosis Diab Vasc Dis Res 2009; 6: 262-8.]. In contrast, ghrelin levels did not change following short-term (6 weeks) treatment with either atorvastatin or fenofibrate in diabetic patients with mixed hyperlipoproteinaemia [56Otto C, Otto B, Frost RJ, et al. Short-term therapy with atorvastatin or fenofibrate does not affect plasma ghrelin, resistin or adiponectin levels in type 2 diabetic patients with mixed hyperlipoproteinaemia Acta Diabetol 2007; 44: 65-8.]. There are no data concerning the effects of lipid-modifying agents on NPY concentrations. In our study no patient was on fibrate therapy but almost half of them were taking statins and even more patients were on antihypertensive agents. The study groups did not differ significantly in statin and antihypertensive use and these treatments remained unchanged throughout the study. Nevertheless, the use of different drugs in our patients is a limitation of our study as is the small sample size which did not allow multivariate analysis. However, other studies in this field [29Jacob AN, Salinas K, Adams-Huet B, Raskin P. Weight gain in type 2 diabetes mellitus Diabetes Obes Metab 2007; 9: 386-93.-33Miyashita Y, Nishimura R, Nemoto M, et al. Prospective randomized study for optimal insulin therapy in type 2 diabetic patients with secondary failure Cardiovasc Diabetol 2008; 7: 16.] had similar patient numbers and did not analyze their results by gender. Furthermore, the measured parameters are interrelated and the influence of each individual factor on insulin-related body weight gain is difficult to identify. In the present study, initiation of insulin treatment was associated with a significant increase in leptin levels and a significant decrease in NPY levels in both genders. These effects should have suppressed appetite and reduced food consumption, leading to weight loss. In contrast, all insulin-treated patients gained weight, possibly due to other mechanisms such as the anabolic effects of insulin, stimulation of lipogenesis, suppression of hepatic glucose production, reduction of basal metabolic rate and elimination of glycosuria. It is also possible that leptin resistance may be partly responsible for the observed weight increase. In general, changes in leptin, adiponectin and NPY levels may occur following insulin-induced improved glycaemic control. These changes may be influenced by several variables, including gender, weight, body fat and glycaemic control. The interactions between these factors were not considered in previous studies. It is possible that targeting the peptides measured in this study could influence weight gain after insulin treatment. This paper was written independently. The authors did not receive financial or professional help with the preparation of the manuscript. DPM has given talks, attended conferences and participated in advisory boards and trials sponsored by various pharmaceutical companies (MSD, Genzyme, Astra-Zeneca). NK is supported by a grant from the Northern Greece Diabetes Association and a grant from the Hellenic Atherosclerosis Society. We thank Dr. GE Krassas, Head of the Department of Endocrinology, Diabetes and Metabolism, Panagia General Hospital, Thessaloniki, Greece, for his advice and assistance in recruiting patients. Heller S. Weight gain during insulin therapy in patients with type 2 diabetes mellitus Diab Res Clin Pract 2004; 65S: S23-7. United Kingdom Prospective Diabetes Study. Intensive blood-glucose control with sulphonylureas or insulin compared with conventional treatment and risk of complications in patients with type 2 diabetes (UKPDS 33) Lancet 1998; 352: 837-53. Russell-Jones D, Khan R. Insulin-associated weight gain in diabetes: causes, effects and coping strategies Diabetes Obes Metab 2007; 9: 799-812. Kersten S. Mechanisms of nutritional and hormonal regulation of lipogenesis EMBO Rep 2001; 2: 282-6. Yki-Järvinen H, Ryysy L, Kauppila M, et al. Effect of obesity on the response to insulin therapy in noninsulin-dependent diabetes mellitus J Clin Endocrinol Metab 1997; 82: 4037-3. Porte D Jr, Baskin DG, Schwartz MW. Insulin signalling in the central nervous system: a critical role in metabolic homeostasis and disease from C. elegans to humans Diabetes 2005; 54: 1264-76. Havel PJ. Peripheral signals conveying metabolic information to the brain: short-term and long-term regulation of food intake and energy homeostasis Exp Biol Med 2001; 226: 963-77. Stanley S, Wynne K, McGowan B, Bloom S. Hormonal regulation of foods intake Physiol Rev 2005; 85: 1131-58. Dridi S, Taouis M. Adiponectin and energy homeostasis: consensus and controversy J Nutr Biochem 2009; 20: 831-9. Nakazato M, Murakami N, Date Y, et al. A role for ghrelin in the central regulation of feeding Nature 2001; 409: 194-8. Kim HJ, Kim SK, Shim WS, et al. Rosiglitazone improves insulin sensitivity with increased serum leptin levels in patients with type 2 diabetes mellitus Diabetes Res Clin Pract 2008; 81: 42-9. Chu CS, Lee KT, Lee MY, et al. Effects of rosiglitazone alone and in combination with atorvastatin on non-traditional markers of cardiovascular disease in patients with type 2 diabetes mellitus Am J Cardiol 2006; 97: 646-50. Tsuchiya K, Akaza I, Yoshimoto T, Hirata Y. Pioglitazone improves endothelial function with increased adiponectin and high-density lipoprotein cholesterol levels in type 2 diabetes Endocr J 2009; 56: 691-8. Kadoglou NP, Tsanikidis H, Kapelouzou A, et al. Effects of rosiglitazone and metformin treatment on apelin, visfatin, and ghrelin levels in patients with type 2 diabetes mellitus Metabolism 2010; 59: 373-9. Ariyasu H, Takaya K, Hosoda H, et al. Delayed short-term secretory regulation of ghrelin in obese animals: evidenced by a specific RIA for the active form of ghrelin Endocrinology 2002; 143: 3341-50. Murakami N, Hayashida T, Kuroiwa T, et al. Role for central ghrelin in food intake and secretion profile of stomach ghrelin in rats J Endocrinol 2002; 174: 283-8. Kusuoka H, Hoffman J. Advice on statistical analysis for circulation research Circ Res 2002; 91: 662-71. Widjaja A, Stratton IM, Horn R, Holman RR, Turner R, Brabant G. UKPDS 20: plasma leptin, obesity and plasma insulin in type 2 diabetic subjects J Clin Endocrinol Metab 1997; 82: 654-7. Schäffler A, Herfarth H, Paul G, et al. Identification of influencing variables on adiponectin serum levels in diabetes mellitus type 1 and type 2 Exp Clin Endocrinol Diabetes 2004; 112: 383-9. Little RR, Sacks DB. HbA1c: how do we measure it and what does it mean? Curr Opin Endocrinol Diabetes Obes 2009; 16: 113-8. Ludescher B, Machann J, Eschweiler GW, et al. Correlation of fat distribution in whole body MRI with generally used anthropometric data Invest Radiol 2009; 44: 712-9. Nishizawa H, Shimomura I, Kishida K, et al. Androgens decrease plasma adiponectin, an insulin-sensitizing adipocyte-derived protein Diabetes 2002; 51: 2734-41. Putz DM, Goldner WS, Bar RS, Haynes WG, Sivitz WI. Adiponectin and C-reactive protein in obesity, type 2 diabetes and monodrug therapy Metabolism 2004; 53: 1454-61. Purnell JQ, Weigle DS, Breen P, Cummings DE. Ghrelin levels correlate with insulin levels, insulin resistance and high-density lipoprotein cholesterol, but not with gender, menopausal status or cortisol levels in humans J Clin Endocrinol Metab 2003; 88: 5747-2. Greenman Y, Rouach V, Limor R, Gilad S, Stern N. Testosterone is a strong correlate of ghrelin levels in men and postmenopausal women Neuroendocrinology 2009; 89: 79-85. Ueno H, Shiiya T, Mizuta M, Mondal SM, Nakazato M. Plasma ghrelin concentrations in different clinical stages of diabetic complications and glycemic control in Japanese diabetics Endocr J 2007; 54: 895-902. Katsuki A, Urakawa H, Gabazza EC, et al. Circulating levels of active ghrelin is associated with abdominal adiposity, hyperinsulinemia ands insulin resistance in patients with type2 diabetes mellitus Eur J Endocrinol 2004; 151: 573-7. Vaverkova H, Chlup R, Ficker L, Novotny D, Bartek J. Complementary insulin therapy improves blood glucose and serum lipid parameters in type 2 (non-insulin-dependent) diabetic patients. II. Effects on serum lipids, lipoproteins and apoproteins Exp Clin Endocrinol Diabetes 1997; 105(Suppl 2): 74-. Jacob AN, Salinas K, Adams-Huet B, Raskin P. Weight gain in type 2 diabetes mellitus Diabetes Obes Metab 2007; 9: 386-93. Aas AM, Hanssen KF, Berg JP, Thorsby PM, Birkeland KI. Insulin-stimulated increase in serum leptin levels precedes and correlates with weight gain during insulin therapy in type 2 diabetes J Clin Endocrinol Metab 2009; 94: 2900-6. Aas AM, Seljeflot I, Torjesen PA, Diep LM, Thorsby PM, Birkeland KI. Blood glucose lowering by means of lifestyle intervention has different effects on adipokines as compared with insulin treatment in subjects with type 2 diabetes Diabetologia 2006; 49: 872-0. Carey PE, Stewart MW, Ashworth L, Taylor R. Effect of insulin therapy on plasma leptin and body weight in patient with type 2 diabetes Horm Metab Res 2003; 35: 372-6. Miyashita Y, Nishimura R, Nemoto M, et al. Prospective randomized study for optimal insulin therapy in type 2 diabetic patients with secondary failure Cardiovasc Diabetol 2008; 7: 16. Kos K, Harte AL, James S, et al. Secretion of neuropeptide Y in human adipose tissue and its role in maintenance of adipose tissue mass Am J Physiol Endocrinol Metab 2007; 293: E1335-40. Ahima RS, Qi Y, Singhal NS. Adipokines that link obesity and diabetes to the hypothalamus Prog Brain Res 2006; 153: 155-74. Kastin AJ, Akerstrom V. Nonsaturable entry of neuropeptide Y into brain Am J Physiol 1999; 276: E479-82. Zukowska Z, Grant DS, Lee EW. Neuropeptide Y: a novel mechanism for ischemic angiogenesis Trends Cardiovasc Med 2003; 13: 86-92. McDermott BJ, Bell D. NPY and cardiac diseases Curr Top Med Chem 2007; 7: 1692-703. Akagi S, Nagake Y, Sugimoto T, et al. Plasma neuropeptide Y concentrations in patients on hemodialysis Nephron 2002; 92: 333-8. Hickey MS, Israel RG, Gardiner SN, et al. Gender differences in serum leptin levels in humans Biochem Mol Med 1996; 59: 1-6. Marita AR, Sarkar JA, Rane S. Type 2 diabetes in non-obese Indian subjects is associated with reduced leptin levels: study from Mumbai, Western India Mol Cell Biochem 2005; 275: 143-51. Lele RD, Joshi SR, Gupte A. Association of adipocytokines (leptin, adiponectin, TNF-alpha), insulin and proinsulin with diabetes- the Mumbai Obesity Project (MOP) J Assoc Physicians India 2006; 54: 689-96. Torchinsky MY, Gomez R, Rao J, Vargas A, Mercante DE, Chalew SA. Poor glycemic control is associated with increased diastolic blood pressure and heart rate in children with Type 1 diabetes J Diabetes Complications 2004; 18: 220-3. Christensen CK, Christiansen JS, Schmitz A, Christensen T, Hermansen K, Mogensen CE. Effect of continuous subcutaneous insulin infusion on kidney function and size in IDDM patients: a 2 year controlled study J Diabet Complications 1987; 1: 91-5. Katsiki N, Mikhailidis DP, Gotzamani-Psarrakou A, Yovos JG, Karamitsos D. Effect of various treatments on leptin, adiponectin, ghrelin and neuropeptide Y in patients with type 2 diabetes mellitus Expert Opin Ther Targets 2011; 15: 401-20. Adamia N, Virsaladze D, Charkviani N, Skhirtladze M, Khutsishvili M. Effect of metformin therapy on plasma adiponectin and leptin levels in obese and insulin resistant postmenopausal females with type 2 diabetes Georgian Med News 2007; 145: 52-. Doogue MP, Begg EJ, Moore MP, Lunt H, Pemberton CJ, Zhang M. Metformin increases plasma ghrelin in type 2 diabetes Br J Clin Pharmacol 2009; 68: 875-2. Araki T, Emoto M, Konishi T, et al. Glimepiride increases high-density lipoprotein via increasing adiponectin levels in type 2 diabetes mellitus Metabolism 2009; 58: 143-8. Usui I, Fujisaka S, Yamazaki K, et al. Telmisartan reduced blood pressure and HOMA-IR with increasing plasma leptin level in hypertensive and type 2 diabetic patients Diabetes Res Clin Pract 2007; 77: 210-4. Derosa G, Cicero AF, D'Angelo A, et al. Telmisartan and irbesartan therapy in type 2 diabetic patients treated with rosiglitazone: effects on insulin-resistance, leptin and tumor necrosis factor-alpha Hypertens Res 2006; 29: 849-56. Fuke Y, Fujita T, Satomura A, Wada Y, Matsumoto K. Alterations of insulin resistance and the serum adiponectin level in patients with type 2 diabetes mellitus under the usual antihypertensive dosage of telmisartan treatment Diabetes Technol Ther 2010; 12: 393-8. Nomura S, Inami N, Kimura Y, et al. 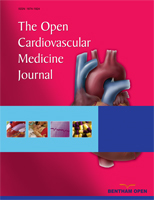 Effect of nifedipine on adiponectin in hypertensive patients with type 2 diabetes mellitus J Hum Hypertens 2007; 21: 38-44. Damci T, Tatliagac S, Osar Z, Ilkova H. Fenofibrate treatment is associated with better glycemic control and lower serum leptin and insulin levels in type 2 diabetic patients with hypertriglyceridemia Eur J Intern Med 2003; 14: 357-60.
 von Eynatten M, Schneider JG, Hadziselimovic S, et al. Adipocytokines as a novel target for the anti-inflammatory effect of atorvastatin in patients with type 2 diabetes Diabetes Care 2005; 28: 754-5. Hu Y, Tong G, Xu W, et al. Anti-inflammatory effects of simvastatin on adipokines in type 2 diabetic patients with carotid atherosclerosis Diab Vasc Dis Res 2009; 6: 262-8. Otto C, Otto B, Frost RJ, et al. Short-term therapy with atorvastatin or fenofibrate does not affect plasma ghrelin, resistin or adiponectin levels in type 2 diabetic patients with mixed hyperlipoproteinaemia Acta Diabetol 2007; 44: 65-8.